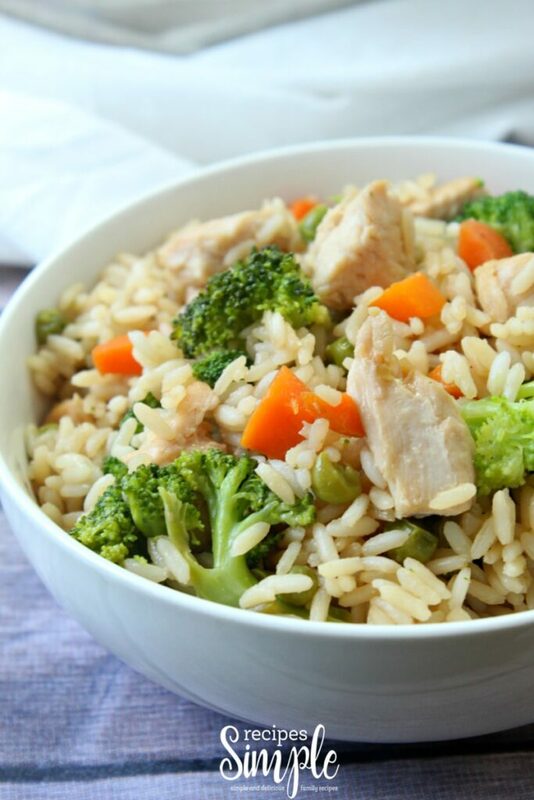 Try this one pot Chicken Teriyaki Rice Bowls recipe that is better than takeout. It’s a quick and easy meal for those busy nights when you don’t have much time. 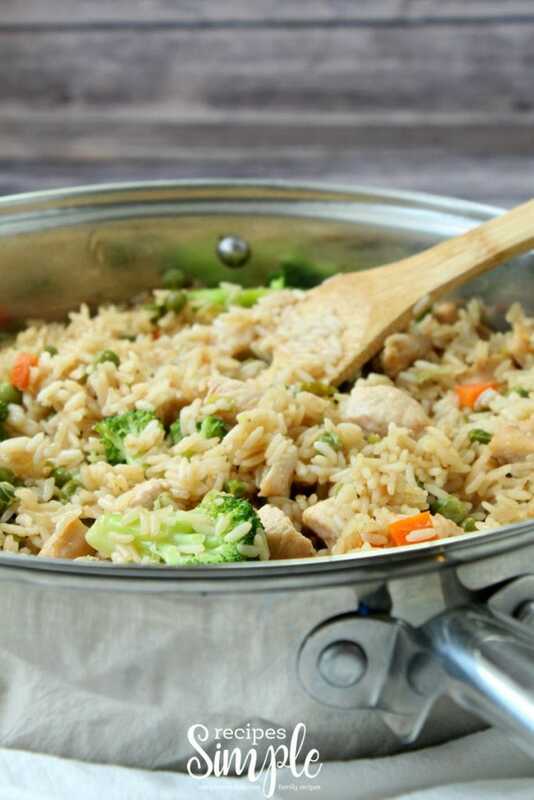 You don’t have to cook the rice separately which is a time saver. 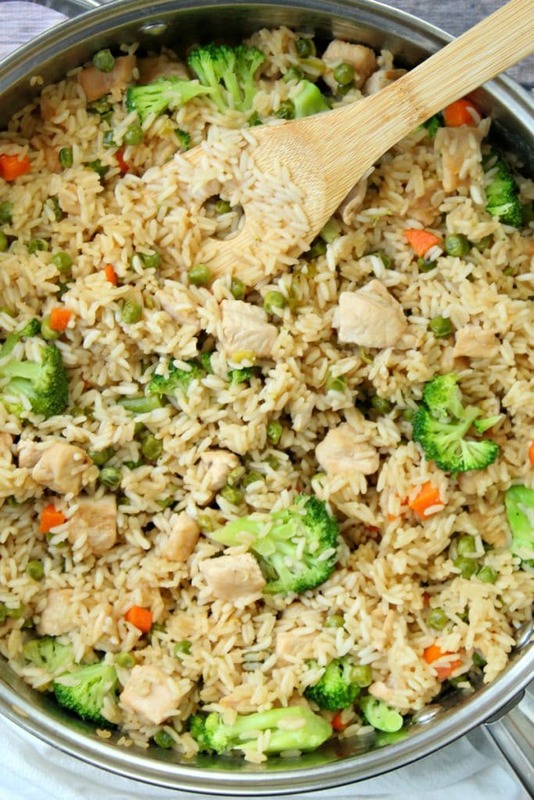 Everything cooks in one pot for easy cleanup! Scroll to bottom for printable recipe. 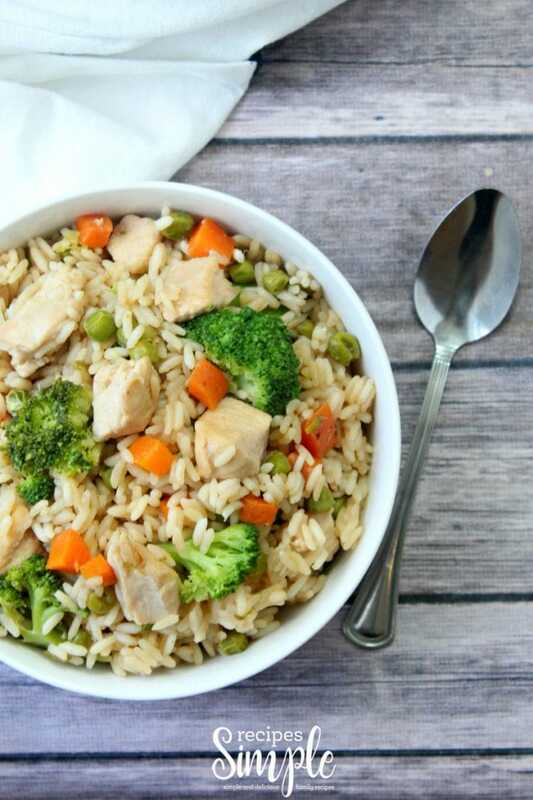 These chicken teriyaki rice bowls are a complete meal in one pan. They have protein, fiber, vegetables and lots of flavor. This simple dish is full of Asian flavor with Teriyaki sauce and soy sauce. My family loves broccoli, carrots, and peas. You can use any vegetables that you have available. Any leftovers are perfect for lunch the next day. I love having leftovers to eat for lunch. I always try to make extra so I know I’ll have some to save for later. This is not a complicated recipe and it’s great for a quick and easy meal. 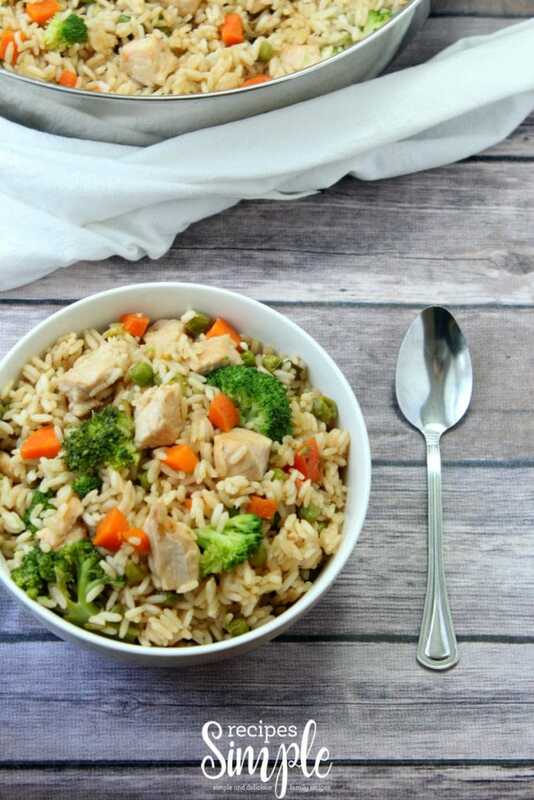 Ingredients are chicken, teriyaki sauce, water, uncooked long grain white rice, soy sauce, carrots, green onions, peas, and broccoli. You’ll start by cooking bite size pieces of chicken in 3 tablespoons of teriyaki sauce in a large skillet over medium-high heat. Then add all the other ingredients minus the broccoli, and bring to a boil. Next reduce the heat, cover and simmer for 20 minutes or until almost all of the water is absorbed. Add the broccoli and cover for 5 more minutes. That’s it. So simple and so delicious! 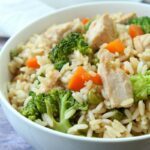 Better than takeout one pot chicken teriyaki rice bowls are the quickest and easiest meal for those busy nights when you don't have much time. Everything cooks in one pot for easy cleanup! Cook cubed chicken in 3 tablespoons of teriyaki sauce in a large skillet over medium-high heat. Add the rest of the ingredients minus the broccoli, and bring to a boil. Reduce heat, cover and simmer for 20 minutes or until almost all of the water is absorbed. Add broccoli and cover for 5 more minutes. Hope you enjoy this One Pot Chicken Teriyaki Rice Bowls. Don’t forget to PIN IT for later and follow us on Pinterest for more family friendly meals!